We take special pride in the services we render to all veterans, no matter where death may reach them. Our attention to details starts with the transfer of remains from the place of death. At right is a picture of the Navy transfer flag that we designed. It is placed over the body of Navy veterans at the time of removal from the place of death. 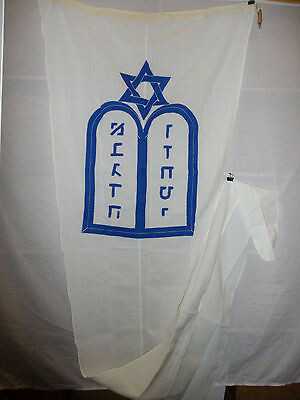 We have such transfer flags for each branch of U.S. military service. Military Chaplains Pennant: We display this unique pennant on veteran services. It is just one more way we make exceptional efforts to bring meaning and honor to our fellow veterans. This is the same emblem that Jewish chaplains wear on their military uniforms, and that Jewish veterans recognize and respect. It is our sacred honor to have obtained this pennant and to share it with our veteran families. We also have unique urns for cremated remains (ashes) for veterans. Engraved nameplates finish the customization of these truly unique urns, available only through our firm. Call for an appointment to come in and see the selections. Someone is available 24/7 at (440) 498-1993. Some veterans prefer scattering of their ashes at sea. This service is free to any veteran with an honorable discharge. The veteran need not be from one of the "sea services": Marine Corps, Navy or Coast Guard. This honor is available to ALL veterans, including Army and Air Force as well. Generally speaking, veterans who, at the time of their death, were in receipt of a monthly compensation check from the V. A., will be eligible for financial assistance for funeral and cemetery expenses. Veterans whose cause of death is deemed to be service-connected will receive a greater amount. Veterans who die in a V. A. facility will also receive additional transportation allowances associated with interment or cremation. Our staff will gladly fold and present the interment flag during the service. As members of a veteran family, it is our honor to do so. However, if the family prefers, we will arrange for this task to be performed by uniformed members of the military. The Department of Defense directives ensure that at least one of the two service members assigned will be from the branch of service in which the deceased served. Usually, but not always, the team will also provide for the playing of "Taps". Our staff can also arrange this for you. In some instances, it is possible to arrange for a rifle volley by a veterans service organization or an individual veteran. Think about what is appropriate and we will do our best to make it happen. Keep in mind that there may not be enough time to make these arrangements if the interment service is for the same or the next day. We encourage you to consider the Ohio Western Reserve National Cemetery for your cemetery needs. Generally speaking, interment of casketed or cremated remains is free for qualified veterans, their spouses and dependent children. 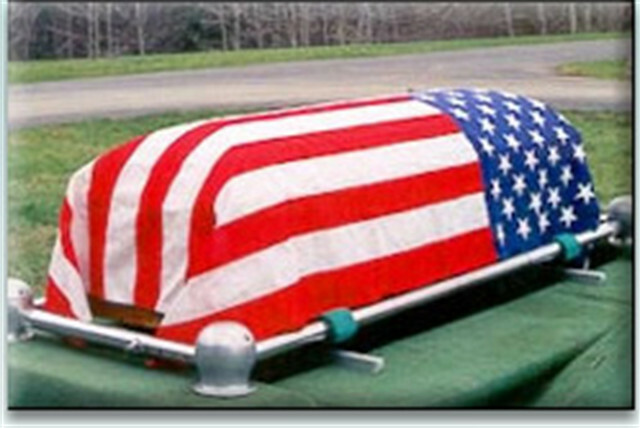 This includes grave space, interment, concrete burial box and headstone for all, not just for the veteran. - Click Here to visit the official web-site of the Ohio Western Reserve National Cemetery. In addition to the national cemetery, some cemetery space may be available for veterans through the Veterans Service Commission of your county. Guidelines vary from county to county. Look for your county's commission in the blue government section of your local telephone directory. Also, veteran graves are available at Mount Olive Cemetery in Solon through the Jewish War Veterans. If you are interested in receiving information about these sections, call us at (440) 498-1993. In cases of financial need, some monetary assistance may also be available through your county's Veterans Service Commission. We will assist with all claim forms, local and federal. Regardless of the cemetery selected, there are a variety of headstones or markers available from the Department of Veterans Affairs. We will gladly assist you in completing the application form. The only cost is for installation by the cemetery. The manufacture and delivery of the marker is free. In conjunction with Post 44 of the Jewish War Veterans and local cemeteries, our firm arranges annually for the dignified retirement and disposal of the flags placed each Memorial Day. JWV also will provide a yellow and blue veteran sticker for you to place on the headstone or marker of your deceased veteran. This designates the grave as that of a veteran, and ensures placement of a flag in May each year. Otherwise, it is possible that your veteran's grave might be missed if there is no other way for it to be recognized. Call us at (440) 498-1993 and we can arrange the delivery of a sticker to you or to the cemetery.